Every writer of talent is inspired, to a greater or lesser degree, by the literature they read during their formative years. 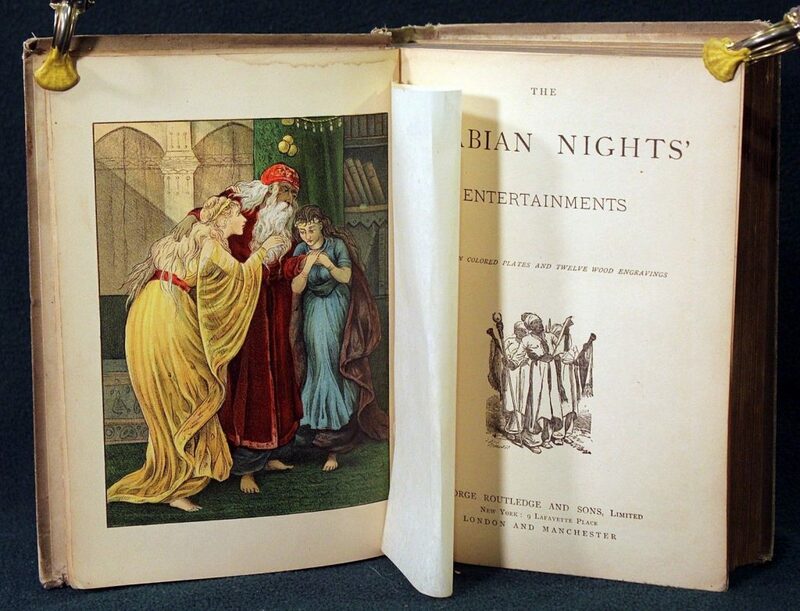 In her childhood, Anne Brontë would be thrilled by the Tales of The Arabian Nights, and later by books such as Bunyan’s The Pilgrim’s Progress. In their early teenage years the Brontës would thrill to poetry by the likes of Wordsworth, Southey, Cowper (Anne wrote a poem in tribute to him) and Byron. 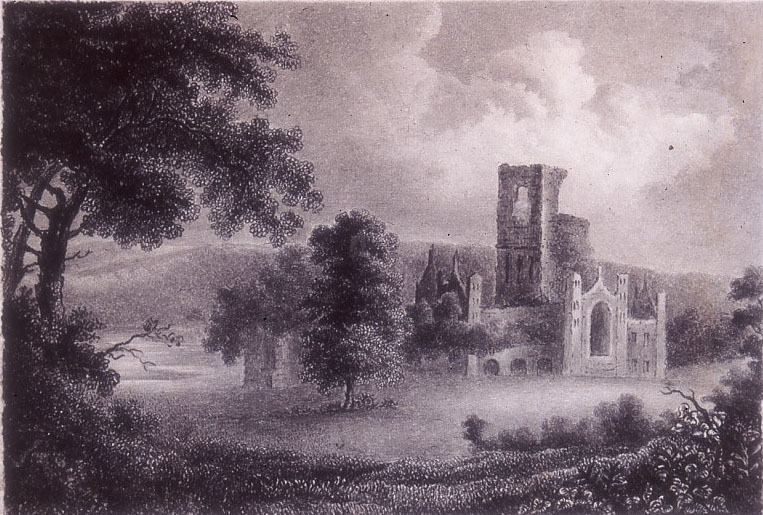 The novels of Walter Scott were also important to the development of the Brontës, and his influence can most clearly be seen in Emily Brontë’s Wuthering Heights. There was one other important literary influence on them; one closer to home and often overlooked: their father Patrick Brontë. The love of poetry and writing that flowed through Anne, Emily and Charlotte was found just as powerfully, if not as profitably, in their father, and it was he that became the first Brontë to be published. Even in this early collection there are hints of themes that would later be brought to greater fulfilment by his youngest daughters Emily and Anne. 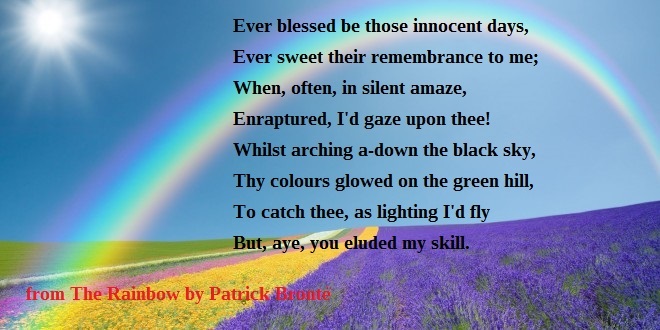 The religious allegories in his verse have an echo in poems by Anne such as The Three Guides, and his poem ‘The Rainbow’ revels in the beauty of nature, in a manner that Emily would raise to a crescendo decades later. Emboldened by his first book of verse, in 1813 Patrick followed this up with his second collection entitled ‘The Rural Minstrel’. By this time he had met, fallen in love with, and married Maria Branwell, and this influence too can be seen on Patrick’s poetry. In 1815 Patrick had an extended short story published in a magazine called ‘The Pastoral Visitor’. 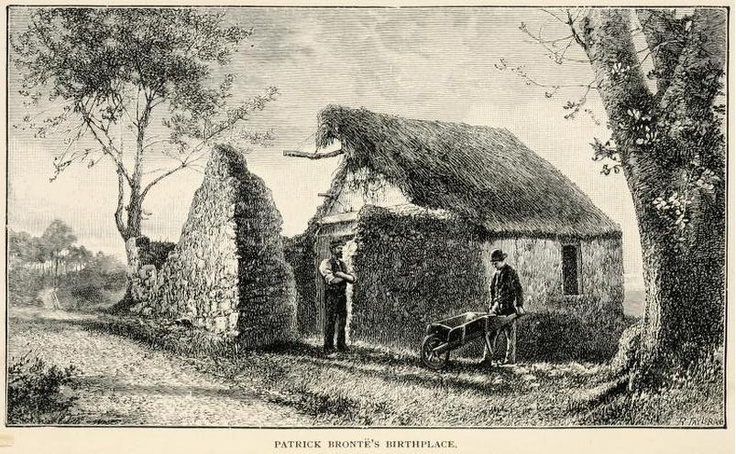 Patrick’s tale was called ‘The Cottage In The Wood or The Art Of Becoming Rich And Happy.’ It is perhaps hardly surprising that the magazine published Patrick, as it was run by his best friend Reverend William Morgan, the man who would later preside over the baptisms of the Brontë children, and most of their funerals. The title of Patrick’s work makes it sound like an early self-help manual, but it’s easy to guess what Patrick’s solution is to find riches and happiness: turn to God and secure an education for yourself. It also shows the importance of Sunday Schools, something that Patrick was passionate about in real life; he built Sunday schools in both Thornton and Haworth, and Anne, Charlotte and Branwell Brontë were regularly called upon to teach at the Haworth School. Patrick’s story was well received, and so he next turned to a novel. In 1818, the year that Emily Brontë was born, the company of Baldwin, Cradock & Joy published: ‘The Maid Of Killarney; or Flora and Albion; A Modern Tale.’ This time Patrick delves into political allegory, as an englishman called Albion falls in love with the Irish girl Flora, but their cultural and religious differences drive them apart. Albion disappears for many years, but returns a changed and wealthy man and in a happy ending he marries Flora. There is a clear similarity here between Patrick’s Albion and Emily’s Heathcliff who also disappears and returns a rich and changed man. Where Emily’s greater genius and literary talent is apparent is that she makes her hero return a worse, not better, man, and she eschews the niceties of a happy ending and a loving marriage. Patrick Brontë’s poetry and prose are very interesting to read simply because of what we know came next from his daughters; they could never be said to be of great literary value, but on the other hand they do have a charm, and are not badly written. Their importance comes because of their influence upon the Brontë sisters. From their earliest days they would have looked at their father’s bookshelf and seen his own books there. This must certainly have encouraged their own love of writing, their ‘scribblemania’ as Charlotte referred to it, and it must also have encouraged them in the dark days when they struggled to find a publisher: ‘our father did it, and so can we’ they would say, and thankfully they were right! Look forth on all around! And give the soul serene delight! And bid us for another world prepare. Terrific post. We know there would no Brontës as we know them if Patrick did not bestir himself , leave Ireland and gain Holy Orders . But one has to wonder of there would even be the Brontë books we have today , if Patrick did not publish his poems and novel first . His children sought to emulate him, as Charlotte pointed out in her letter to Aunt Branwell when seeking funds to study in Belgium ;and they achieved glory; but Patrick Brontë broke the ground before them and they stood on his shoulders .